The 64 members of the Evangelical Church in Al Haj Yousif in the Sudanese capital will have no place to worship next Sunday after land officials sent a bulldozer accompanied by police to tear down their building without prior notice, according to one of the church’s leaders. Police on three trucks arrived at the church compound accompanied by a bulldozer just a few hours after the end of Sunday worship, the leader said. “They took everything from the church,” she said. Officials told church leaders that the church was demolished because worship created public disturbances, but Christian leaders said the church sat on land that the government is helping a Muslim business interest to seize. Leaders of the Evangelical Church in Al Haj Yousif said the Muslim who claims ownership of the church property has forged documents showing ownership. They said the church has owned the property since 1989, and that a judge last year verbally confirmed its ownership. With police at the ready in case of potential confrontations, the bulldozer began demolishing the structure by noon. Eyewitnesses said police confiscated chairs, tables and Bibles before the demolition. 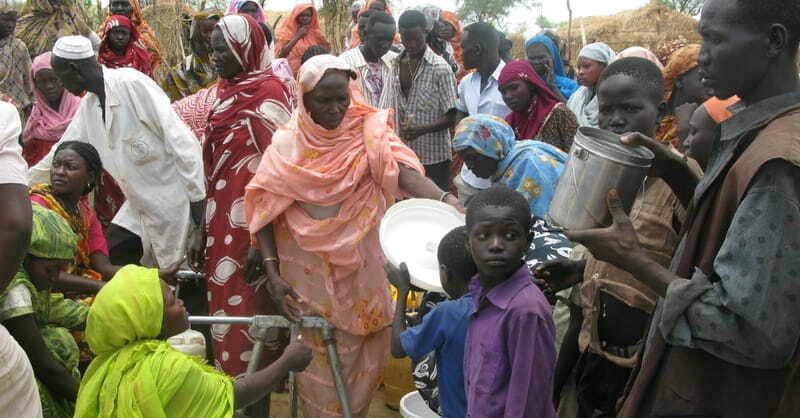 One Christian called for rights organizations to pressure the Sudanese government to return the confiscated items. “We urge all activists and human rights supporters around the world to denounce this move and demand for the return of the confiscated property of the church,” Christian activist Samaan Mahajoub wrote on his Facebook page on Sunday (Feb. 11). A court dispute about ownership of the church site is still pending in court. The Rev. Yahia Abdelrahim Nalu of the Sudan Presbyterian Evangelical Church (SPEC) confirmed the demolition. The incident has attracted widespread outrage among Christians in Sudan, with many saying it directly shows hatred of Christians. In its campaign to rid the country of Christianity, Sudan has designated at least 25 church buildings for destruction, claiming they were built on government lands, Christian leaders said. On Feb. 5 a court fined seven Christians for defending church properties.